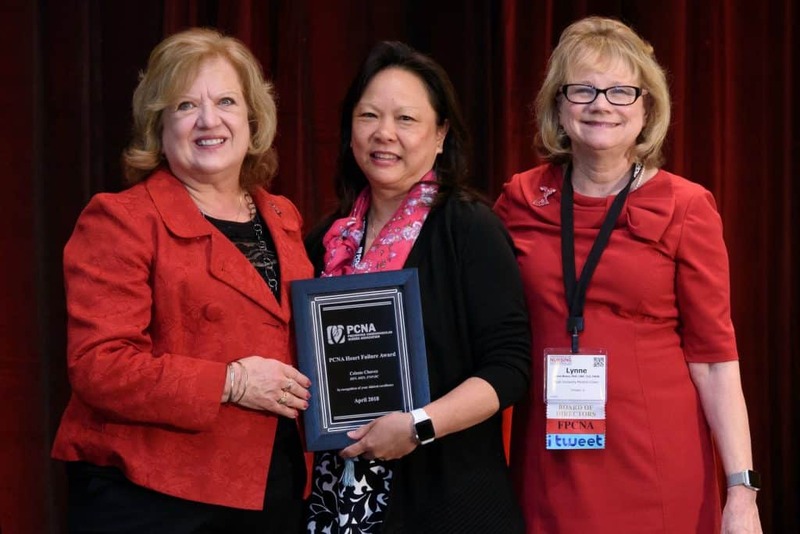 The Preventive Cardiovascular Nurses Association Heart Failure Prevention Award recognizes a registered or advanced practice nurse who has demonstrated an innovative, successful model of primary or secondary preventive care for patients with heart failure. The winner of this award is recognized at the Awards Ceremony at the PCNA Annual Cardiovascular Nursing Symposium with a PCNA Heart Failure Award Plaque. In addition, the winner receives complimentary symposium registration, air or auto travel expenses, and 3-night hotel stay to attend the meeting. May self-nominate or be nominated by current member of PCNA. Present the best practice model or research as a submitted abstract at the PCNA Annual Cardiovascular Nursing Symposium for a poster or oral presentation. The winner of this award is not eligible for consideration in the consecutive year. Projects and honorable mentions from previous years are eligible to reapply. Submit two letters of support from health professionals supporting the importance of the submitted best practice model or research. The letters must address the applicant with regards to their work being submitted for this award. Submit a testimonial or letter of support from a program participant. Overall support of this award is from a grant by Novartis. As part of PCNA’s compliance with The Physician Payments Sunshine Act, upon the funder’s request, PCNA is required to report awards paid to clinical professionals as part of this grant in the final grant reconciliation.